I really love this series. Although, if you haven’t read the others in the series, this could be a stand alone. Owen is one messed up kid. His mother used him royally and he enables her because he thinks that is what it will take for her to love him. It’s sad. Fable, his sister, knows better and doesn’t speak to their drug and alcohol addicted mother who ran out on them, literally taking all their belongings and left them to fend for themselves years ago. Fable doesn’t know that Owen is supplying their mom with drugs and money. Fable doesn’t know that he even talks to her. Owen keeps it quiet, because he also smokes weed with his mother. Owen can make something of himself in college now. His brother in-law thinks he could be in the NFL like him. Owen plays football in college, but he is starting to fail and if he doesn’t do something with his grades he won’t even have a chance at playing football anymore. He is benched until he gets his act together. 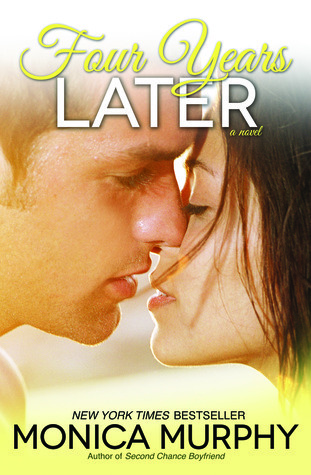 His school counselor sets him up with a tutor, Chelsea, to help him get it together. Chelsea is exactly like me!! I was the one the teachers asked to help other students in school. I was quiet and kept to myself mostly. I didn’t use the language that is second nature to Owen either, like Chelsea. She is naïve and innocent. So was I. I could totally relate to her. And I routed for them. They really did need each other. I could understand Chelsea thinking things and unsure what she should assume or not. She has secrets of her own that she is too embarrassed to share. She is ashamed of her parents and won’t talk about them to Owen. So in a way they have something very similar in their lives, they just don’t share it with each other and then when those things come out, “the fit hits the Shan” so to speak. Not only with them but with Fable as well. I loved the way Owen treated Chelsea. He was kind and patient with her. You could feel the chemistry. And he totally liked corrupting her with his use of colorful language and trying to get her in his bed. He knew she was a virgin. She was easily embarrassed but found herself being bolder with each encounter. She blossomed; he got his act together and got the girl and me? I got a big smile and a contented sigh from reading a really good book!